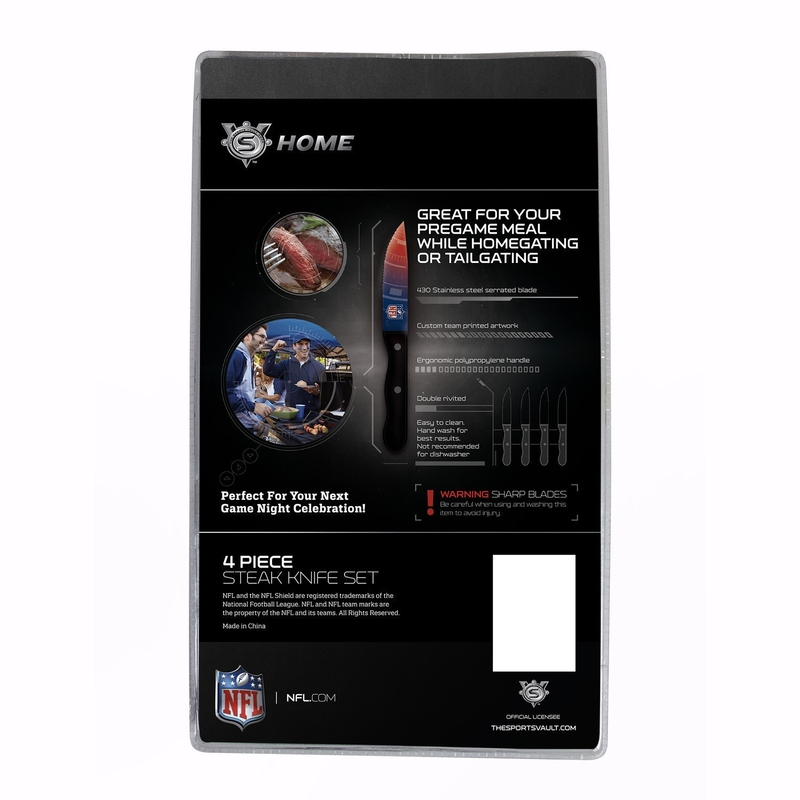 Score big at your next game day barbecue, cookout, and at every meal with the Tampa Bay Buccaneers Steak Knives Set of 4. 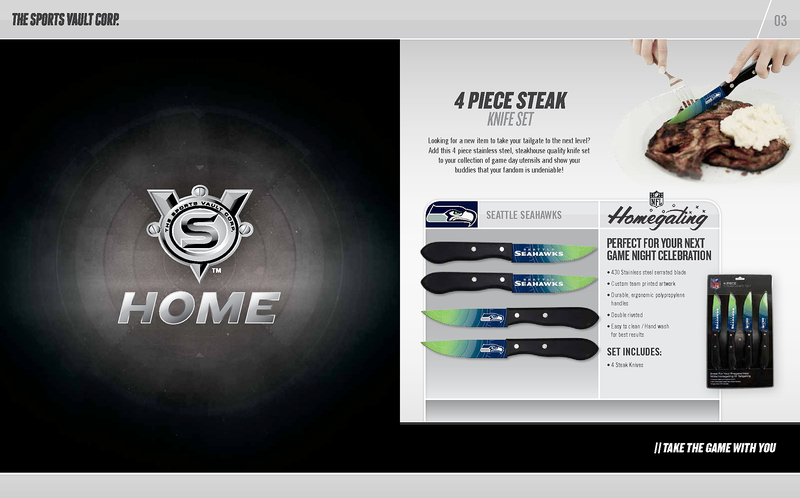 Each Nfl officially-licensed knife includes brilliant artwork on the blades and dynamic team colors on the handle. The blades are dipped in surecoat to ensure the graphics maintain their luster for countless Buccaneers touchdowns to come. Enjoy superior cutting of your favorite steaks with the stainless steel, serrated blades of these unique steak knives. The handles are made from an exceptionally comfortable and non-slip polypropylene material. Whether you keep them for yourself or surprise a friend, this unique cutlery set will be a fan favorite. Ensure all of your friends know where you stand with the iconic Tampa Bay Buccaneers Steak Knives. 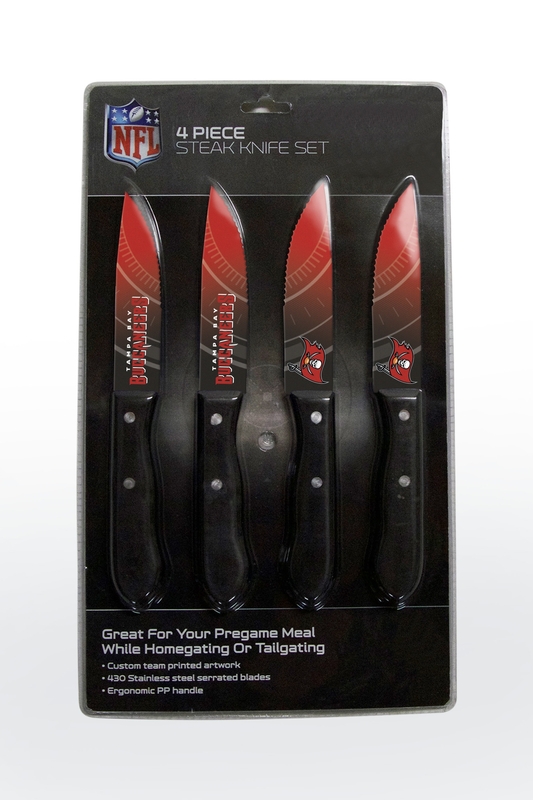 Request your Tampa Bay Buccaneers Steak Knives Set of 4 today while supplies last.